Mom and World Hair Strengthening Shampoo is an amino acid-rich shampoo that helps make dull lifeless hair shinier and stronger. Made with a blend of silk proteins and oat extract that helps in healing the scalp, replenishing damaged hair and restoring natural moisture on the scalp and hair tips. This shampoo is suitable for all hair types including natural, curly, rough, dry, color-treated and keratin-treated hair. 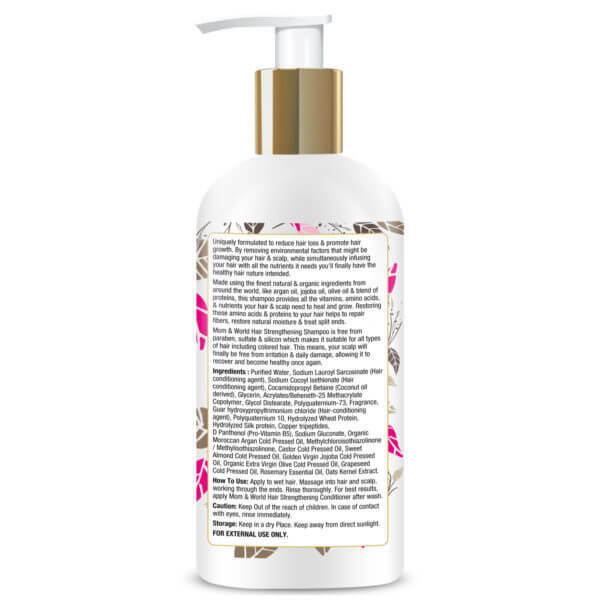 It is free of sulfate, paraben, and other harmful chemicals. The shampoo is perfect for people suffering from excess hair fall, hair breakage and frizzy hair. 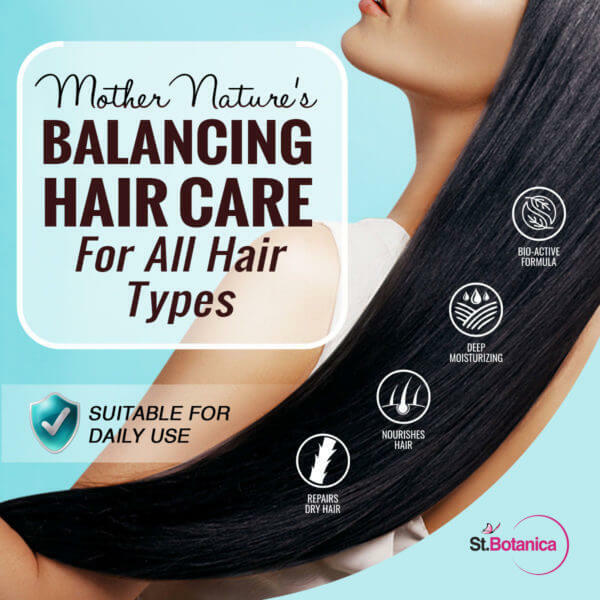 It is a deeply hydrating and nourishing shampoo with pure organic oils and extracts that can penetrate deep into the hair roots to make them stronger, thicker and vibrant. It is free of sulfate, paraben and other harmful chemicals. 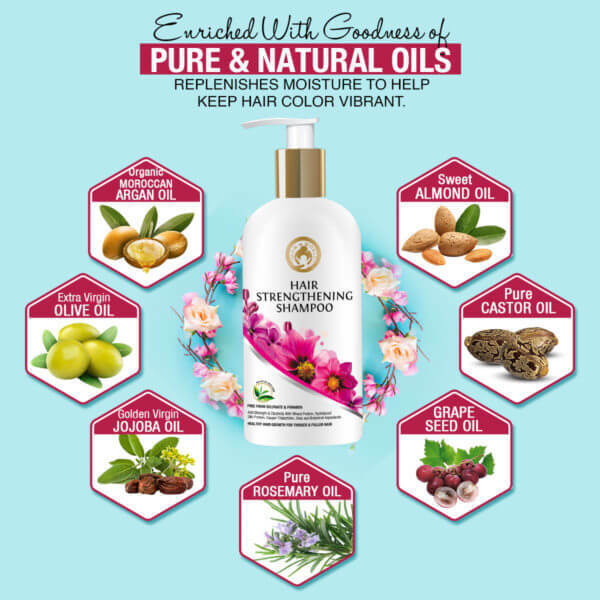 The organic oils in the shampoo include Moroccan argan oil, jojoba oil, almond oil, olive oil, rosemary essential oil, castor oil and grape seed oil which help revitalize and restore dull and damaged hair. 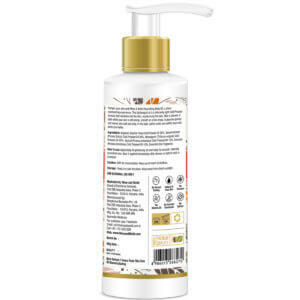 The shampoo is creamy, gentle and safe for daily use. It comes in a 300ml pump bottle for easy handling. The product is manufactured by Mom and World that focuses on formulating the best cosmetics for teens, women, and men. 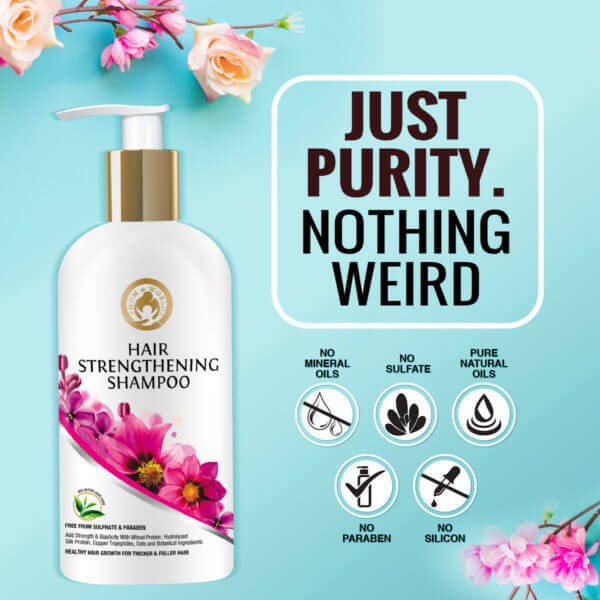 If you are looking for a shampoo that can help increase the volume and thickness of your hair, then Mom and World Hair Strengthening Shampoo might be the best shampoo for you. 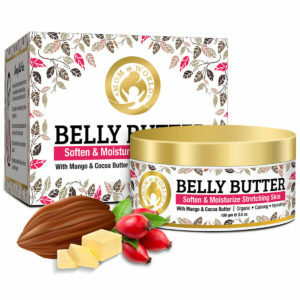 It is formulated using the finest organic ingredients such as argan oil, jojoba oil, olive oil, almond oil, and grapeseed oil. It is rich in amino acids, Vitamin B5 and proteins that nourish and moisturize the scalp to help improve hair growth. The shampoo does not contain paraben and sulfates which make it suitable for both natural and colored hair. Using this shampoo regularly can help to reduce thinning of hair, split ends and breakage of hair. The natural oils and proteins work together to help increase the thickness and volume of your hair. This shampoo has a creamy consistency that naturally cleanses the dust and dirt from your hair. It is best to use Mom and Hair Strengthening Shampoo with conditioner for protecting your hair. Formulated with natural oils, proteins and plant extracts for revitalizing, strengthening and protecting your hair. 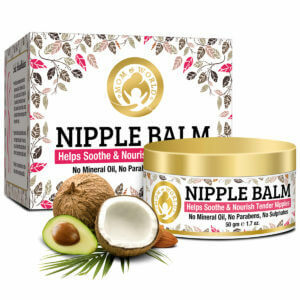 Includes a blend of Moroccan argan oil, almond oil, olive oil, grape seed oil, and jojoba oil. 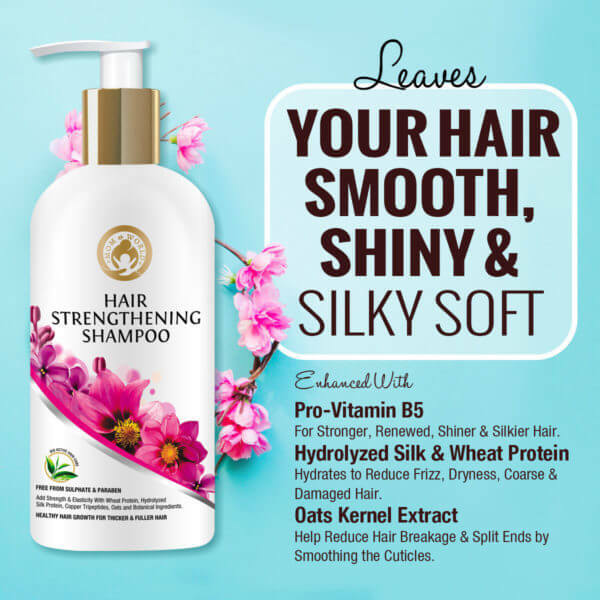 Has hydrolyzed silk and wheat proteins that help keep hair silky and smooth. Free of paraben and sulfate. Suitable for all hair types including colored and treated hair. Available in 300 ml pump bottle. Perfect for men, women, and teenagers. Oat extract is known to improve the elasticity of hair. It helps in strengthening the hair follicles. It moisturizes and softens hair tresses. 1. CAN I USE THE SHAMPOO ON COLORED HAIR? Yes, you can use. Mom and World Hair Strengthening Shampoo suits all types of hair including rough, dry, damaged and colored hair. 2. IS IT SULFATE-FREE SHAMPOO? Yes, Mom and World Hair Strengthening Shampoo are free of sulfate, silica, and paraben. 3. CAN IT REDUCE THE HAIR FALL? 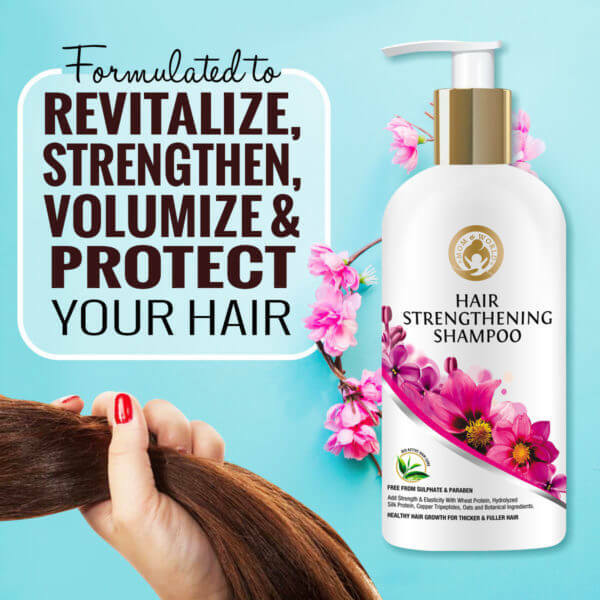 The shampoo is enriched with amino acids and proteins that help restore the hair by retaining natural moisture and that could help reduce hair fall. For best results, use it regularly. 4. WILL IT REDUCE SPLIT ENDS? 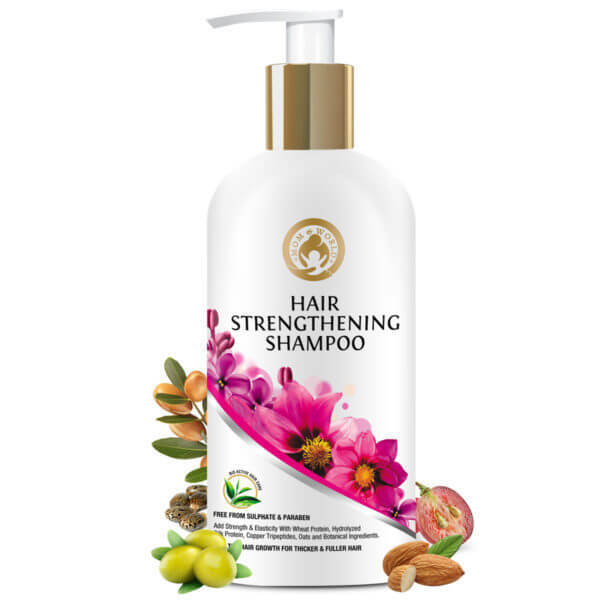 The shampoo is rich in oat extract that is known to reduce hair breakage and split ends by smoothening the hair tips. 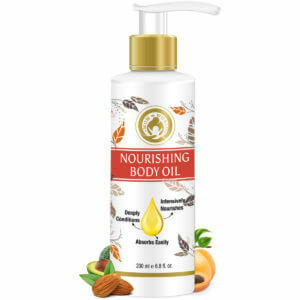 Moroccan argan oil, sweet almond oil, extra virgin olive oil, pure rosemary essential oil, golden virgin jojoba oil, grape seed oil, pure castor oil, oat kernel extract, hydrolyzed wheat protein, hydrolyzed silk protein, vitamin B5 and copper tripeptides. Apply a dollop of shampoo on wet scalp and hair. Lather the shampoo and rinse thoroughly. For best results, it is always recommended to use Mom and World Hair Strengthening Conditioner after washing your hair with this shampoo. I recommend this shampoo for anyone who is experiencing excess hair fall. It has helped me immensely. An amazing shampoo that provides nutrition to the scalp and hair roots. Hair is now strong and healthy.